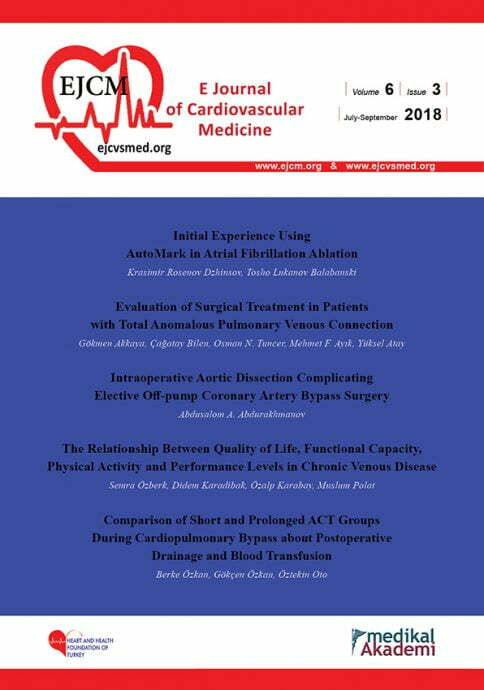 Within this scope, e-Journal of Cardiovascular Medicine aims to evaluate and publish all manuscripts related to cardiovascular surgery and cardiology, as well as complementary subspecialties in a rapid and effective manner. The Editorial Board of the journal will assess and publish the manuscripts in accordance with the recent tech-based publishing concept and share with the international health care media. All manuscripts will be shared in an effective social media platform. Outstanding researches will be evaluated in an interactive platform and discussed in online conferences, if required. In other words, e-Journal of Cardiovascular Medicine is expanding the horizon for its researchers and readers.